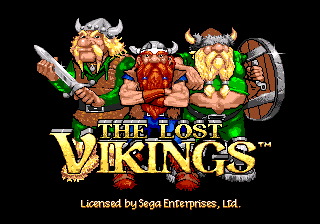 The Lost Vikings is a puzzle platformer made by the same company that would go on to make the likes of Warcraft and StarCraft. It's also available on SNES, GBA, DOS and Amiga. There is an unused variant of the Egypt theme hidden in the ROM. This page was last modified on 20 August 2014, at 06:21.